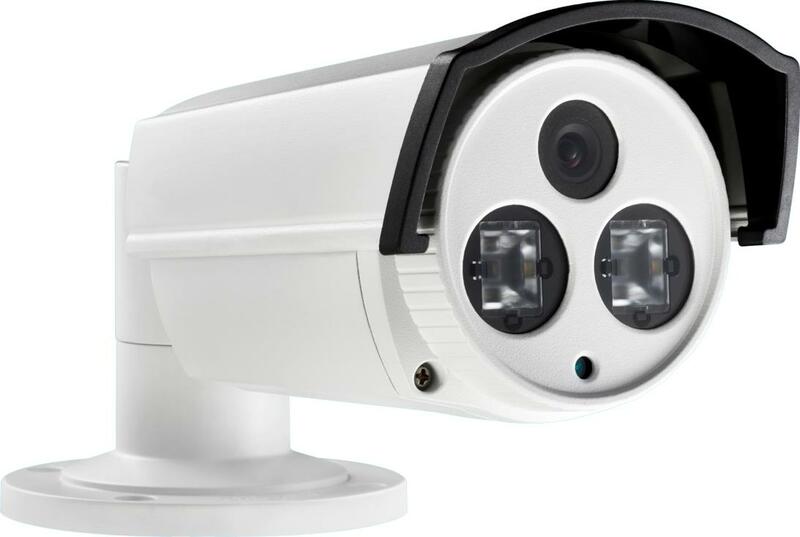 The TVI-FBIR5MP infrared bullet camera is equipped with a wide angle 4mm, 1/2.8" 5MP CMOS sensor and 2 built-in EXIR LEDs for up to 170 feet of night vision. Exceptionally clear crisp images from the full 5 megapixel sensor with day/night function provides color images during the day and clean B&W images at night. The extremely bright Smart IR EXIR LEDs have excellent coverage and won't cause IR whiteout from nearby persons or objects. Equipped with an IP66 weatherproof housing and concealed cable mounting bracket the TVI-FBIR5MP camera can be used indoors or outdoors.